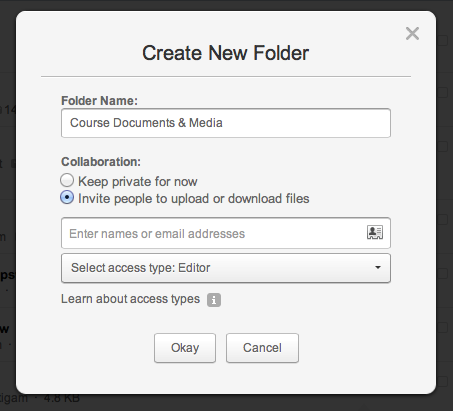 Box at Penn State provides an easy way to share files with students and colleagues. Documents, media, and whole folder sets can be shared with the click of a button to allow students to access the files they need for a specific course or project. Box at Penn State is a great platform for creating and collaborating within web-based documents. Students can work in groups to complete course papers and projects. 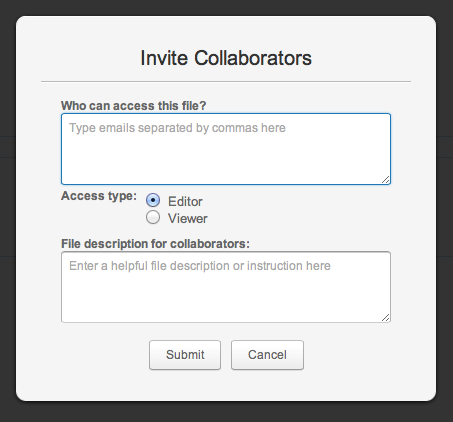 Collaborators can add comments, assign tasks, and message other peers within the tool itself. PowerPoint presentations and Excel workbooks can be accessed through Box to promote a more open, collaborative experience. With unlimited secure online storage, Box is a fantastic resource to store and back up important documents. Course files and other assets remain safely in the cloud and can be accessed by any device, even a smartphone. Box provides a robust set of mobile apps to access, share, and edit files on the go. This paperless alternative can promote active learning in the classroom and allows for feedback exchange and update notifications. 1) The instructor has the students create a folder in their personal Box account using a specific naming convention (e.g. BIO360-studentname) and then share the folder with the instructor. The instructor also sets up folders for student teams that they then share with the members of the team. This gives the students responsibility for and control of their own data and a place to collaborate that is controlled by the instructor. 2) The instructor sets up a non-person account with a pre-defined folder structure and shares the folders with students with the appropriate permissions. For example, a folder where the students have upload-only permissions to submit work and then one where they have view access to see and comment on each others work (it could be the same folder). At the end of the term, these folders are kept as a record of the students’ project work. In this case, the instructor controls the work and owns it after the term is over. Create a Box folder and share it with your staff. Navigate to the folder; select “Properties”–>>”Email Options” and check the box called “Allow uploads to this folder via e-mail”. Box will generate a unique e-mail address for this folder. Program the e-mail address, generated above, into the scanner. Staff can scan paper documents, which will be saved to the shared Box folder. They can then log into Box and move the documents from the shared folder into an appropriate individual, class or project folder. Note: the scanner and the local network it is connected to must have the capability to send e-mail outside of Penn State since the e-mail generated will have an @box.com suffix.